By leveraging a combination of different WSO2 products Engineering I.I. developed a leading solution for communicating with medical devices through medical device integration. Several different "bi-directional communication drivers" with medical devices have been developed, interfacing with devices ranging from wearables to complex monitoring systems based on several protocols. The data comes from the device through WSO2 Message Broker to the MDI 'core' system that normalizes them into standard formats, and monitors data through complex event processing. This is used to feed supervised automated learning models. The supervised algorithms configured in the machine learning component warns the medical staff in advance of potential situations of degeneration of clinical conditions and allows them to take action. The data is exposed in an easy and safe way, thanks to the WSO2 API Manager and WSO2 Identity Server to the various solutions (EHR, Laboratory, EMS). Born in 1984 in Amalfi Coast he graduated in computer science with honors and has several passions, from nautical to Formula 1. He has been working in Engineering for over 10 years and has followed several important developments, including systems of Emergency Medical System, Blood Transfer, Automatic External Defibrillator, GIS, CTI telephone interface in the enviroment of emergency medical stations. 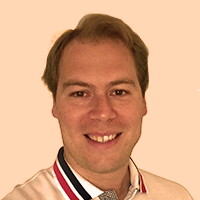 He is currently the technical manager of the engineering of the health care platform, which foresees the use of the most important WSO2 components involving challenging themes such as GDPR, Machine Learning, identity and security and MicroServices.